So, you have spent a lot of time and what feels like even more money in getting visitors and then some more time and money converting them into customers. You know the value of repeat customers, so how do you start and keep that financial life blood flowing? Getting someone to buy your product or service online requires a lot of trust and getting your audience invested in your business. Your ultimate goal is not only to get them to convert from visitors to paying customers but to keep them coming back to your website for repeat purchases. Let’s go over some ways to keep your customers coming back for more. If your customers say there’s a problem, it means they are still interested in you for the long haul. If they didn’t, then they just up and walked away from you. This is a good point to learn what drives your customers and it helps you to understand how you can become better in your customer’s eyes. This applies in all forms of business, in all sizes. Correcting whatever the complaint was and incorporating that correction into your daily business just makes common business sense. While spending time and money on gaining new customers is among the core goals for any company, so is trying to reconnect with previous customers that got left behind. It isn’t completely a wasted effort to try and reconnect with dormant clients either. It’s quite possible that a good majority of the customers have been waiting for you to court them again. It can be a lengthy process to regain them as loyal fans but in the long run, you have nothing to lose, as they already have a sense of who you are and how good your product or service truly is. 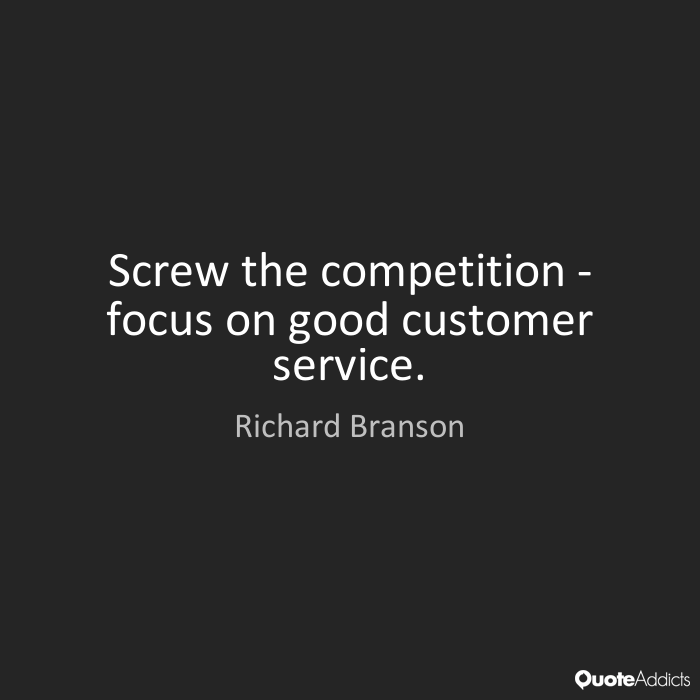 Nothing can compare to the value placed on great customer service by your customers. Get this wrong in any way, shape, or form, and it could affect more than just your bottom line. Getting it right and doing it far beyond the expectations of any current or potential customer will put you in such a great light that it will raise your bottom line exponentially. Be quick and truthful when responding to queries, be willing to work with difficult clients, and if all else fails; kill them with kindness. Have a system in place that can communicate with your audience before, during, and after any sale. This can be anything from thank you notes, mailed cards (or e-cards), telephone calls, special offers as a loyalty reward, bonus offers, specialty freebies; the list can go on. It makes your relationship that much more personal and it’s a great way to spread the word about your company. This can be incorporated in how you handle your email opt-ins. This is your direct line to dating your customers as well as improving as a business. As long as you are building relationships with your customers, you’re building a steady fan base that will pick up and carry the torch for you and help you get noticed by many more people. Your opt-in forms should be strategically implemented and personalised to invest your audience. If you address them poorly, they may not want to stick around. Using techniques that can engage both your existing audience and future audiences really isn’t all that hard to do. It just requires a little creativity and some ingenuity. Running contests and giveaways are classic yet effective ways to engage your current base, while intriguing a newer audience; and still be able to get some user generated content that you can then use to help promote yourself. A simple collaboration between you and some non-competing businesses can also do wonders, because you are cross promoting each other which introduces a whole new yet established audience to your brand. It shows your customers just how personal you can get when you can show off a new partnership. Showing off that kind of ingenuity and creativity can spark current customers into further action, and can be what connects you to new customers. Continuing to deliver great services or great products is only the beginning portions of a life or longer process. Loyalty programs can also be incorporated, with various incentives for various actions. The rewards can be anything actionable; from something virtual like discounts and free items to something tangible. They can be closed to your loyal customers or you can offer it as a free for all. The choices are only limited by your own discretion. Because online business needs to adapt and change on a continual basis to keep up with current trends, sending out personalized surveys is a good way to get feedback when there hasn’t been any gifts of complaints. Let’s face it, we can’t assume that no news is good news. This is a great way to brainstorm for new products or services that your current audience would be willing to devour, and just might be a ticket for bringing in new blood. Do try and keep any kind of buyer’s remorse down. Your customers should feel great about their purchases from you and not wonder if they were overly influenced by you or if they made the wrong choice. This is a perfect setting to send out informational updates for your products and services, sending out personalized questionnaires and thank you notes, or to even congratulate them for making the right choice by dealing with you. Everything boils down to how you interact with your audience. The more they feel like they are dealing with a real person, the more likely they are to stick around and be your raving fans. The more helpful and friendly you are with your products, services, or content, the better the chances are that you will be able to keep a following and have it grow. This can be seen by how you handle your emails, opt-ins, promotions, and your actual sales pages. By placing what is more important for your customers ahead of what is important to you, you give off the impressions that the customer is your highest priority. Not your profit margin. Treat your customers like gold and they will be golden in helping you out. Be personal with your outreach efforts. Be open and friendly with your popups, give something of value of yourself when asking for email addresses or money. Implement a line of communication that is open before a sale is even considered and long after the sale is done. Welcome complaints with open arms and allay any concerns or buyer’s remorse. Be continuously creative in your efforts, even the largest companies become complacent from time to time which is costly in the long run.